The sites listed in our Patriot Trails are just some of the many historic gems in Montgomery County. 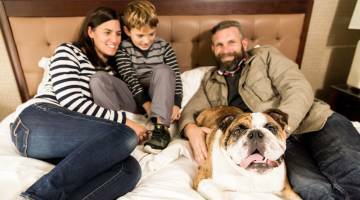 It would be impossible to see all of the historic homes, museums and sites in one trip, but it is possible to squeeze in a few extra stops along way. We have curated a list of historic sites that would be of particular interest to those interested in early American and military history. Many of the sites are open to the public while others are merely something to see along the way. Also known as Indenhofen Farm, the Warren Z. Cole House was built around 1725. Washington led his troops past the farm prior to camping along the Skippack Creek. Indenhofen Farm is open for tours one Sunday every month. A yearly encampment event is held each September to commemorate Washington's encampment along nearby Skippack Creek. The Medal of Honor Grove, located on the campus of the Freedoms Foundation at Valley Forge, is a 52-acre memorial to America&apos;s greatest heroes. More than 3,450 Medal of Honor recipients are honored, state-by-state. 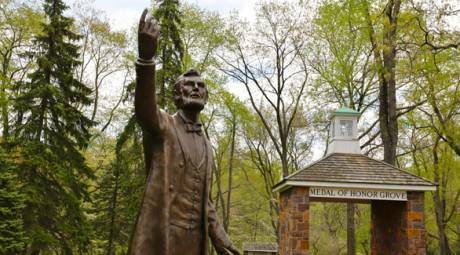 A statue of Abraham Lincoln beckons at the entrance. For more on Medal of Honor Grove, check out this blog post. The Highlands Mansion was built in 1794 by Anthony Morris, a Philadelphia politician and merchant. The 200-acre property would pass from family to family until 1975 when it was purchased by the Highlands Historical Society. Tours of the property are offered each weekday. 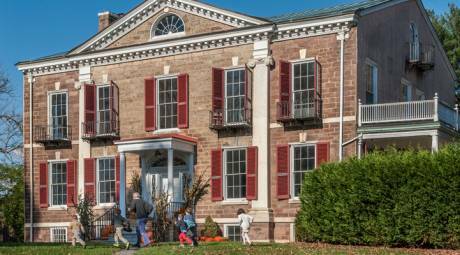 Historic Waynesborough is the 18th century mansion of General Anthony Wayne. The property passed through the Wayne family until 1965. Today, the site serves as a museum dedicated to telling the story of the Revolutionary War general and to interpret seven generations of history with the Wayne family. During the American Revolution, many churches were pressed into service as hospitals for those wounded in battle. Boehm's Reformed Church was pressed into such a service following the Battle of Germantown. The soldiers who died were buried in the graveyard next to the church. A commemorative marker on the front of the church, placed by the Daughters of the American Revolution, honors those soldiers. The Battle of Crooked Billet, named for the Crooked Billet Tavern that once occupied the site, was fought on May 1, 1778 in present-day Hatboro. The British launched a surprise attack against three regiments of Pennsylvania militia, forcing the Americans to retreat after losing nearly 100 men, including casualties and captured. A monument to the battle was carved and erected in 1861 and now sits in front of the Crooked Billet Elementary School. 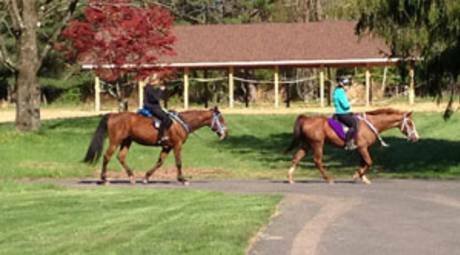 Located in Whitpain Township, Dawesfield in a historic country estate. The home served as George Washington's headquarters from October 20 to November 2, 1777, before the Army settled in at Whitemarsh. The building is listed on the National Register of Historic Places, though it is not open to the public. During the Whitemarsh Encampment (November, 1777), George Washington made his headquarters at George Emlen's farm. The house where Washington stayed still stands on the edge of the Piszek Nature Preserve, though it is not open to the public. Owned by the Wissahickon Valley Watershed Association, the Evans-Mumbower Mill is open for tours on the third Sunday of the month in spring, summer and fall with additional programming scheduled throughout the year. Group tours are also available by special request. The Jenkins Homestead was first settled by the Jenkins family in 1743. The current building dates to about 1790, when it replaced the log cabin that was originally on the plot. John Jenkins II served in the Continental Army during the Revolution. 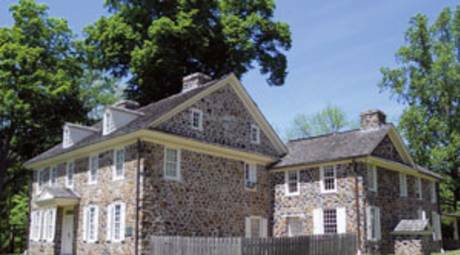 Today the Lansdale Historical Society operates the building as the Jenkins Homestead and Historical Research Center, open Wednesdays, Thursdays and Saturdays. The original section of the Lady Washington Inn was built in 1761, with additions made in 1785 and 1850. The building operated as an inn and tavern into the 1900s before being converted into a private residence. Today, the inn houses two businesses: BLue, A Hair Studio and JennK Boutique. Erected in 1931, the Lower Merion Revolutionary War Memorial is co-operated by the Lower Merion Baptist Church. The memorial consists of a bronze tablet commemorates the service of Charles Thomson and the soldiers who served from Lower Merion Township in the Revolutionary War. Thirteen steps, representing the 13 colonies, guide the way to the humble marker. 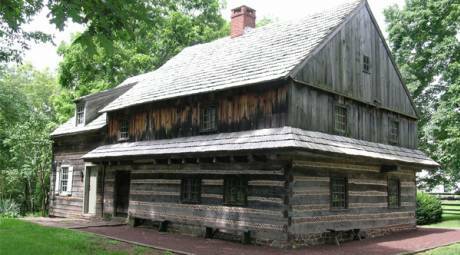 William Penn granted the land on which the Morgan Log House stands to a merchant named Giffith Jones in 1702. In 1708, Edward Morgan purchased the property that bears his name today. In 1976, three years after it was added to the National Register of Historic Places, the Towamencin Historical Society completed restoration of the home to how it Edward Morgan would have known it. The house is open for tours Tuesdays through Sundays from April through December. Frederick Augustus Muhlenberg, brother of Colonel Peter Muhlenberg, was serving as pastor of New Hanover Lutheran Church between 1777 and 1778. It is easy to see why the church was chosen as a hospital site for the Continental Army following the Battle of Brandywine. Fifty Revolutionary War soldiers are buried in New Hanover's cemetery. Located adjacent to Graeme Park, the Penrose-Strawbridge House is believed to have been built as part of William Keith&apos;s summer estate. The 300-year-old home has been restored by the Horsham Preservation and Historical Association, and is open for events throughout the year. Continually operating since about 1708, the Plymouth Friends Meetinghouse is one of the oldest houses of worship in the country. During the Revolutionary War, the Meetinghouse was used as a hospital and campsite on the way to Valley Forge. The Plymouth Meeting Friend School is located on the site, still operated by the Quaker meeting. 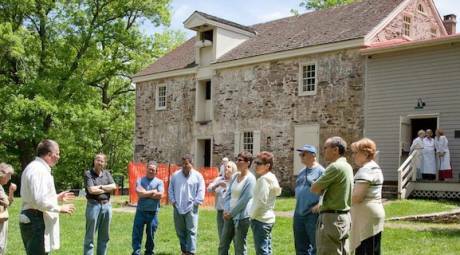 Built in 1727, the Pottstown Roller Mill was originally a simple fieldstone mill. Additions were added in 1849 and 1856, creating the large property that now occupies the site. The Mill, which is not open to the public, is on the National Register of Historic Places. The Quaker Manor House was the home of Quaker Jeremiah Warden during the time of the American Revolution. Located near the Whitemarsh Encampment, the grounds of the house were likely busy with activity. Still a private residence, the building is listed on the National Register of Historic Places. Owned by Cheltenham Township, the Richard Wall House Museum is named after Richard Wall, one of the 14 original purchasers of land in the township. The building is dated 1682, making it among the oldest homes in the state, likely the oldest stone residence still standing. The four-story manor house, along with the springhouse, smoke house and carriage house, is open for tours during the summer, by appointment only. Selma Mansion dates to 1794 by Andrew porter, Pennsylvania's Surveyor General and one of the founders of the U.S. Marine Corps. Among Porter's sons, and Selma residents, were two governors (one of Pennsylvania, one of Michigan) and a Secretary of War. The Norristown Preservation Society is working to restore the building to its former glory. What is now known as the Speaker's House was built in about 1763 by John Schrack. Eighteen years later, it was purchased by Frederick August Conrad Muhlenberg, a minister-turned-politician, and brother of Colonel Peter Muhlenberg. Fredrick would become renowned as a politician, writing his name in the history books as the first signer of the Bill of Rights and third Speaker of the House of Representatives. His home, The Speaker's House, is available for tours by appointment only. Fox Chase Farm sits just inside Philadelphia, along the border with Montgomery County and Abington Township. The farm was established in the late 17th century and continued as a private farm until the 1970s when the School District of Philadelphia took over operation. The property is open select dates for public events. Founded in 1758, St. Peter's Lutheran Church has been an active house of worship for more than 250 years. In May, 1778, the church and adjacent cemetery were swept up in the Battle of Barren Hill. Nine soldiers who lost their lives in the battle, along with 12 veterans, are buried in the cemetery. Built in 1767, Sunrise Mill was a grist and saw mill that supplied grain and lumber to troops during the American Revolution. The 200-acre site, which is not currently open to the public, includes a mid-nineteenth century house and a bank bar. 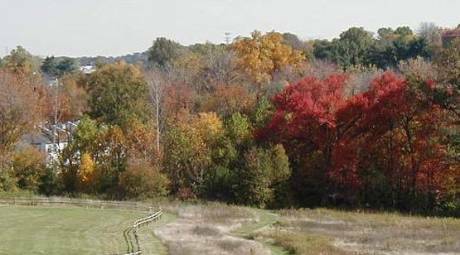 The Montgomery County Division of Parks and Heritage Services owns the land and will open the site to the public once renovations are complete. For those interested in military history beyond the Revolution, the Harold F. Pitcairn Wings of Freedom Museum is located on the site of the former Willow Grove Naval Air Station. It is named for a local aviation pioneer who helped develop rotary wing aircraft and was the founder of Pitcairn Aviation (later Eastern Airlines). 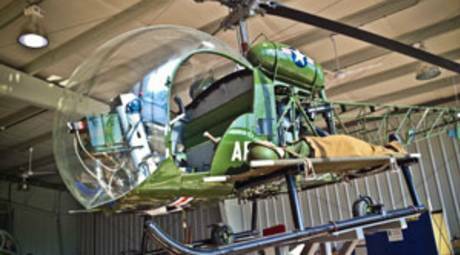 The museum has 17 aircraft on display between the museum and outdoor display area, and continues to restore historic aircraft of all types. Private in Captain Hercules Courtney's Company, Third Pa. Artillery, Continental Line, in the Battle of Brandywine. His home was in Conshohocken. He is symbolic of the many unknown Black soldiers who served in the American Revolution, but whose race is not mentioned in the muster rolls. Opened in 1704, this tavern was known in Colonial times as the William Penn Inn, the Tunis Ordinary and Streeper's Tavern. Familiar to Franklin and Washington, the inn was renamed, shortly after the Revolution, in honor of Gen. Wayne, who had lodged here. The Continental army marched from Whitemarsh to Gulph Mills by way of Swedes ford, and encamped on nearby hills, Dec. 13-19, 1777. From here, the army moved to Valley Forge. Salesman, author. In influential writings, 1765-74, argued against British policies. Later, as a member, Continental Congress, 1774-76, favored conciliation and opposed the Declaration of Independence; nonetheless, served the patriot cause as colonel, 1st Philadelphia Battalion. President, Pa. Supreme Executive Council, 1782-85. Delegate, U.S. Constitutional Convention, 1785; a strong supporter of the Constitution. Deeded land to Merion Meeting, 1801-04. On May 19-20, 1778, Lafayette, in his first independent command, occupied this position during reconnaissance with 2,000 troops, which were driven off by Howe's overwhelming British forces. On Howe's departure, Lafayette reoccupied Barren Hill until his recall to Valley Forge on May 23. Noted for his fine penmanship, Matlack probably inscribed the Declaration of Independence on parchment in 1776. Commanding the "Shirt Battalion" during the Revolution, he engaged in battle against the troops of England. Matlack died April 14, 1829, and is buried nearby. Here in the Emlen House Washington had headquarters, Nov. 2 - December 11, 1777, just before moving to Valley Forge. Last battle of the year was a British attack repulsed here Dec. 5-6.